To this young British doctor working with Samaritan's Purse, Ebola is "a disease that strips people of any kind of dignity in death." LONDON, Feb 20 (Reuters)—Nathalie MacDermott hopes never again to see desperate patients, terrified as blood pours from their eyes and mouths, lashing out and frantic as they die surrounded by vomit and faeces. To this young British doctor, Ebola is “a disease that strips people of any kind of dignity in death.” Yet she fears the scenes she witnessed as an aid worker in West Africa’s epidemic may be repeated as the deadly virus is beaten back, memories fade and conspiracy theories creep in. “Case numbers are coming down and people have relaxed a lot. And while it’s nice to see people able to get on with life again, it is also a bit concerning-because in some people’s eyes, Ebola has gone,” MacDermott said in an interview. In others’ eyes, it was never there at all. “This whole epidemic has been plagued by conspiracy theories about Ebola, including that it was a creation of the government designed to get aid money,” MacDermott told Reuters during a short break at home in Britain before returning to Liberia. West Africa’s unprecedented and devastating Ebola epidemic is waning, with case numbers dropping in the three affected countries of Liberia, Sierra Leone and Guinea. Latest World Health Organisation data show at least 9,380 people have died in the outbreak- the worst in the 40-year history of the virus- and some 23,500 have been infected. First seen in humans in 1976 in the Democratic Republic of the Congo, Ebola infection in humans initially causes fever and vomiting, then attacks the immune system and vital organs, often causing internal and external bleeding. “It’s very, very unpleasant to see people sick with Ebola. Nothing could prepare you for it as a physician. It’s like nothing you’ve ever seen,” said MacDermott. About 60 percent of patients have died in this outbreak. Ebola is spread via contact with the body fluids of an infected person. Disease experts say the recent downturn in the epidemic has been largely due to better hygiene and handwashing, tracing and monitoring of contacts, and changing behaviours such as ending the practice of open burials. 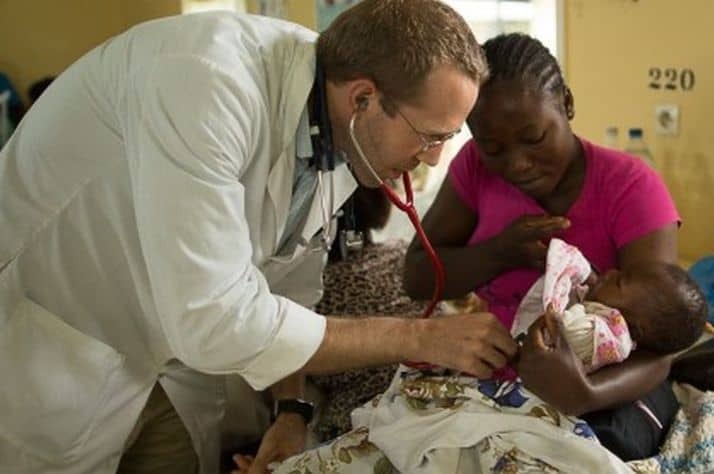 Working with the Christian charity Samaritan’s Purse, MacDermott, a 33-year-old British pediatrician, has been based in Liberia on and off since July last year. She, too, says messages about how to prevent Ebola and halt its spread by basic but vital changes in behaviour are getting through to many people in cities, towns and rural communities. But she worries that not everyone believes them. In the absence of health and aid workers and community leadership from those educated about Ebola, already the voices of conspiracy theorists are increasingly being heard again. “Some people don’t want to believe that their family member has Ebola, they don’t want the concept of Ebola to exist. Others believe we (international aid workers) are stealing people’s organs in the treatment centres, or that Ebola was made up to get aid money,” MacDermott said. If such theories are allowed to gain ground, she said, with the virus barely contained and likely to be lingering close to the surface in animal hosts such as bats, another surge of human infections would be almost inevitable in the region. Click here to learn more about Samaritan’s Purse.